Dress up your guitar with a traditional flamenco style wooden capo! These are the shapes currently available. Let me know which shape you would like when you order! B SHAPE IS SOLD OUT! 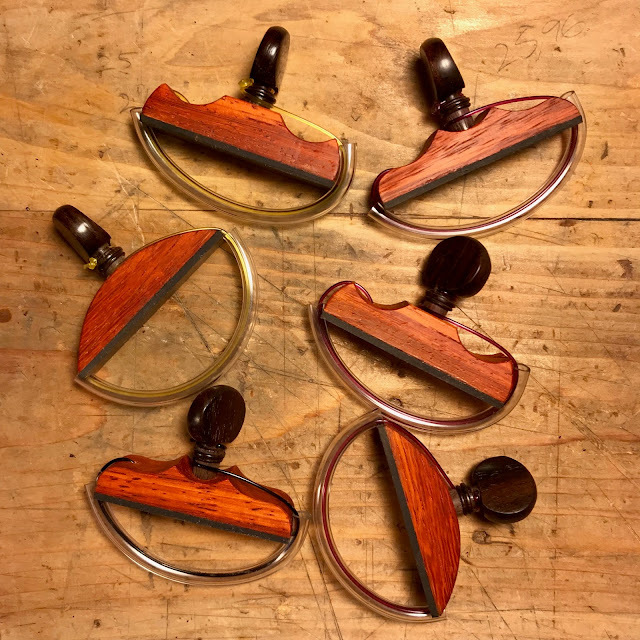 I hand make these in my guitar shop from spare classical guitar tone woods. All capos are faced with neoprene, to provide the best sound from your guitar. All tie strings are Savarez brand high tension nylon strings that are covered with vinyl tubing to protect your guitar's neck. Capo pegs are made from East Indian rosewood. 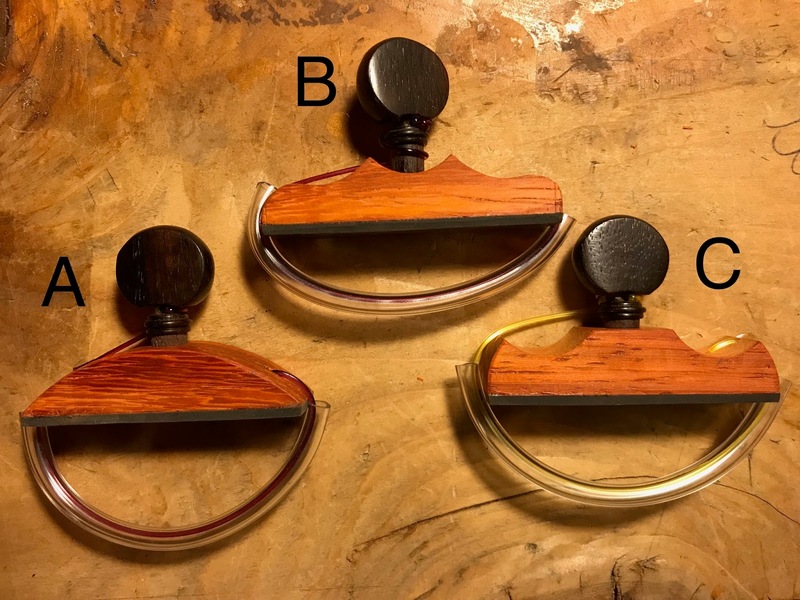 Solid wood capos are $30, plus shipping. Please contact me highcountrylutherie@gmail.com and order your capo today!